If you’ve got a large family then you will love the 2019 Thor Hurricane 34J. 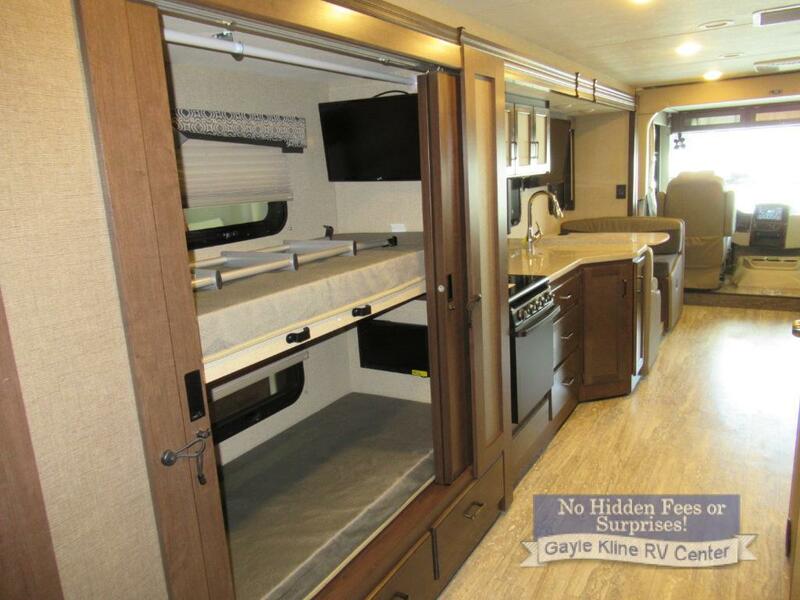 This RV sleeps an impressive 9 people, making it perfect for those with children or individuals who plan to vacation with friends. It offers everything you need and more to feel right at home wherever you are. Private bunks are the perfect place for children to not just get some rest, but also unwind after a day of fun. These bunks offer privacy to the kids and allow the adults to enjoy some time without having to see toys strewn about or kids running around. Even if you don’t have kids, you’ll love having a private space for guests to retreat after a long day of fun. If you enjoy cooking then you will absolutely love the Hurricane’s kitchen. It’s one of those places that offers a completely comfortable and inviting space and makes cooking absolutely enjoyable. Whether you’re a budding chef or have been cooking for years, you’re sure to appreciate how this space gives you everything you need to whip up delicious meals. And, even if your idea of cooking is throwing a TV dinner in the oven, you’ll love having a great microwave and ample counterspace. After a day out and about making memories with the kids, the bedroom found in every Thor Hurricane floorplan is absolutely delightful. It boasts a plush bed that promises comfort wherever you area, porcelain toilet, and more. You’ll love having a welcoming space to lay your head at night and catch up on sleep after a day of fun. If you’re interested in learning more about the 2019 Thor Hurricane 34J for sale, contact us. 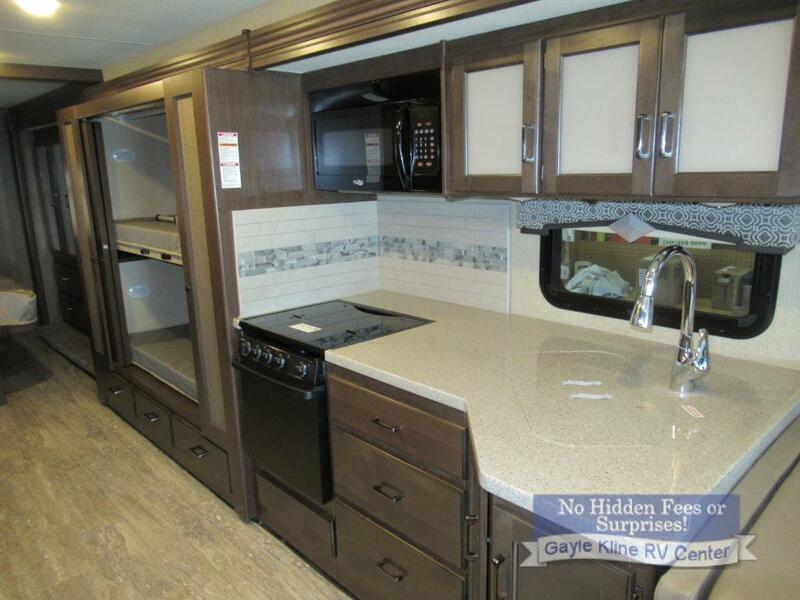 We can answer any questions you have and help you find the best RV for your needs. 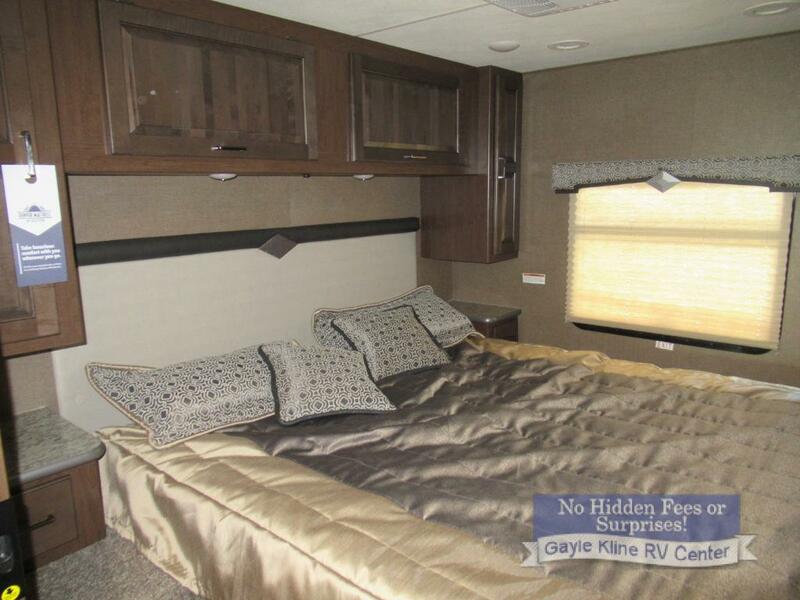 Our team is here to assist you in the search for the RV of your dreams.